In June of 1948, Willy Fielder came to the US with his family under "Operation Paperclip." They moved to Oxnard, California so that Willy could easily commute to work at the Pt. Mugu Air Missile Test Center. Eleven other scientists including Dr. Hans E. Hollmann, Dr. Herbert Wagner and Robert Lusser were among these Paperclip scientists. In Germany, Fiedler had been in charge of the flight testing of the Reichenberg (V-1) cruise missile or "Buzz bomb," as it was often called, at the Fiesler Aircraft Co. and in charge of the design of the Natter at the Bachem-Werke. Robert Lusser, who was also one of the Paperclip scientists, designed the V-1 in 1942. When the small V-1 showed signs of poor yaw damping, Fielder installed a cockpit and piloted the missile to determine what was needed to improve its flying qualities. Over 32,000 unmanned V-1's were produced in Germany. In the summer of 1955, Willy attended a joint military/industry conference with his good friend, Sydney Sharp. At the meeting the Navy proposed to develop a larger submarine from which a number of guided missiles could be launched. The topic of launching these from the submerged submarine was raised but no one thought that this could be done. Willy told Sydney Sharp that he knew how to by using pressurized air to shoot the missile vertically out of a tube and then igniting its rocket motor once it had breached. Sharp said "go up there and tell them!" And that is just what Willy did. So the seeds for the birth of the submarine launched ballistic missile (SLBM) had been sown. 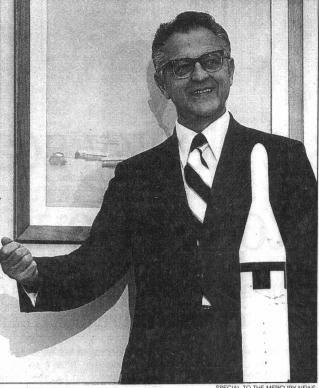 Fielder became the chief scientist at Lockheed Missiles and Space Co. in 1958 and helped design the Polaris and Poseidon missiles for the Fleet Ballistic Missile System. By 1962, eight Polaris submarines with 16 missiles each had been commissioned . Eventually there were 41 submarines. It was the most significant Cold War deterrent against the Soviet threat and most likely prevented WWIII. 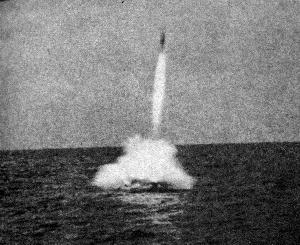 Solid fuel rockets had already been launched from the submerged U-511submarine at Peenemünde in 1942. However, the idea was dormant for 13 years until in 1955 Willy Fielder suggested how it could be done to the US Navy. 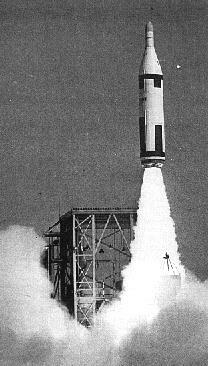 A favorite story about Fiedler occurred during the celebration of the first successful Polaris missile launched. Everyone was celebrating and throwing each other in a pool. The pool treatment was given only to respected leaders said chief engineer Frank Bednarz, who expected to be next and handed Willy his wallet and eyeglasses. The revelers walked right past Bednarz and flopped Willy - with Bednarz's valuables - into the pool. 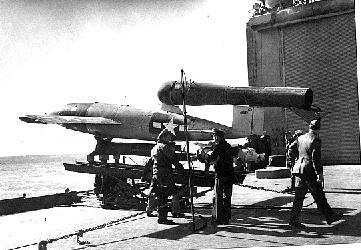 A "V-1 Buzz bomb" or Loon being readied for launch aboard a ship. Over 1,200 Loons were built by Republic in New York. 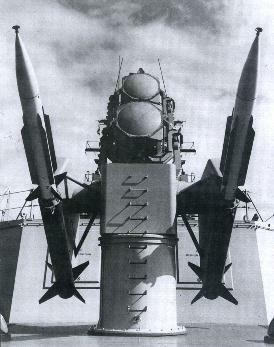 The V-1 was the direct ancestor of today's cruise missile. 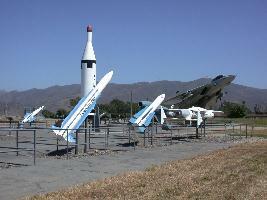 Missile Park at Pt. Mugu, CA where the Fiedler and Wagner missiles; Polaris, Bullpup, Hawk, are on display. 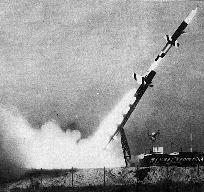 The Rigel Wagner missile being launched. Prof. Herbert Wagner designed the missiles and control systems for most US missiles. On the left is the Terrier ship launched missile. Monica Wagner-Fiedler, "HERBERT WAGNER," Scientists and Friends, Monterey, CA. 2003. Walter J. Boyne, "Beyond the Horizons, The Lockheed Story," Thomas Dunne Books. N.Y. 1998.